It was a school day, Penny woke up late, she was about to rush to school, her mom stopped her. Penny was astonished to hear how her mom was speaking,she never told her to concentrate on eating her food before, she must have read a book with a title which says,”Concentrate,” how strange she thought and started eating. It was a beautiful morning, Mrs Hardy was baking muffins for Sandy’s classroom party, they were chocolate chip muffins, they’d be done in another five minutes, Mrs. Hardy told herself, suddenly she recalled her mother’s muffins they were so delicious, she and Mom would eat the fresh muffins when they came out of the oven. The thought of her mother and the muffins made Mrs. Hardy eager to send some for her mother who lived close by. Sandy packed a small basket of muffins for her grandma, as she was walking along, she smelled smoke and noticed a fire truck speeding along the road, further up the street there were flames rising up from a house, she wasn’t quite sure who owned the house, she walked a few more steps when someone stopped her, Sandy looked close, “it’s my grandma’s house, she said I have to save her” her last words were barely audible as she fell and fainted! “Did you ever see such high waves”, Nadia said out loud, she was visiting Malta with her parents, the waves fascinated her and they were so noisy, she couldn’t go too close to the shore, she was afraid she’d be drenched by the water the waves were spraying out. Mom and Dad were having a great time watching the noisy Mediterranean sea waves and soaking up the gorgeous sun, it was a perfect day to have outdoor picnic. Mom made arrangement with the hotel chef to prepare a delicious basket of food, the chef’s assistant brought the food basket, Nadia couldn’t wait she dragged her parents to a spot which she had planned ahead of time. Nadia was disgusted, she mumbled not him again he is such a show off, the thought that Harry would engage her parents into a conversation enraged her, she wasn’t hungry anymore, she took out a book and began to read, some picnic she said under her breath! Patricia’s question, ” Are you a pianist too?” suddenly awakened Mark, he realized he was not friendly with Tracy’s cousin. Patricia was in a mood to extend their conversation, within seconds she gathered enough courage to ask him to teach her to get better in playing the piano. Mark was unable to make an excuse, why he couldn’t tutor her, reluctantly he agreed, Patricia was delighted to have someone who would regularly teach her, she learned the basics from her cousin she wanted to make a career out of it. After the disappointing run at the Boston marathon, Patricia needed some kind of distraction to get over her failure to complete the marathon run. She was disheartened by her friend Tracy, whose letter at the last minute destroyed her confidence. Her mother suggested she could spend some time with her cousin Andrea, Andrea was an accomplished pianist , she volunteered to give Pat piano lessons. The two liked each others company, Pat was doing well in the lessons better than anyone her cousin had taught, within a year Pat was playing the piano well enough to compete in the yearly music festival. Pat registered in the competition, her cousin warned her not to expect too much, “enjoy playing for the audience,” Andrea told her cousin, Pat learned from her earlier failure in the marathon not to expect too much, she entered the competition without any expectation, the audience loved her performance, , the adjudicator was impressed with her showing, he placed her third, everything went well, Patricia gave up running and concentrated on becoming an accomplished pianist like her cousin! Patricia told her mom she’d like to run the Boston marathon, mother wasn’t sure Pat was trained enough, even though she qualified for the marathon. 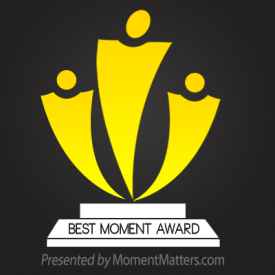 Mom was one of those people who’d never think of discouraging her kid. Mother and daughter reached Boston two days before the marathon, Patricia was confident she’d be able to do well. On the day of the marathon she received a very discouraging letter, it was from her best friend Tracy, she wrote, it was a very difficult course, she doubts Pat will be able to complete it. Patricia read the letter several times, she could not believe Tracy would discourage her, she tried to ignore the contents of the letter, she started the run , she’d reached halfway, when she felt terrible cramps, she began to limp, finally a gust of wind blew her off course she fell down, she did not have enough strength to continue! Gloria sat in her room thinking about her life, she was so ambitious, one rejection completely killed her confidence, she is scared to apply anywhere else, her Mom tried to convince her, it’s not the end of the world, there are other places you can apply, after all you are qualified to teach. She remembered clearly her Prof told her she made the wrong choice she should have gone for nursing, there are tons of job in that field. It’s too late, she spent so many years studying, she cannot change now, all her friends have good jobs she’s the only one who is unsuccessful, she scoured the pages of the newspaper for teaching positions, she saw one it was a temporary position to substitute for a teacher who was going on maternity leave. That day she went home, hugged her Mom and Dad, told them about her job, she was so happy, tears rolled down her cheeks, “Thank you God” she said! Barbara was walking down the long corridor looking for the sign that said: Way Out. She knew she would be late for her appointment if she could not find the door to go out, frustrated she sat down and began to cry. ranu802	. 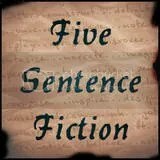 five sentence fiction	. Alice, countless, crazy, dismay, fiction, Mike. I’ve met countless people in my life, never had the pleasure of meeting someone like Alice, one moment she’d laugh like a lunatic, you turn around and find her crying, I never quite know what to think of her. Alice insisted I introduce them,I tried to get out of it but she was relentless, reluctantly I introduced them, they liked each other, they were out for coffee, movies , I saw them everywhere, I wondered how was this possible, Alice was with Mike for the seventh day, I was happy one of them liked to alter, s/h life. Seventeen year old Melanie was tired of living in an isolated village, she pleaded with her mother to leave this lonely village to a larger community where she’d find girls her own age to hang out with. Her mother wasn’t thrilled with this idea, she wasn’t sure she’d be able to survive with the amount of money she received from her ex-husband. She wanted her daughter to be happy, she discussed the idea of moving with her close friend, her friend encouraged her to try. They moved to a larger community close by, mom soon realized every thing cost more, she was running out of money, to get by she sold most of her things. They were broke, in school Melanie could not make friends, the girls were too snobby, she was unhappy, Melanie and her mom soon understood their small lonely village was far better, at least they had friends!